I have many fond memories of sipping Cava with my sister-in-law who owns a famous Bed and Breakfast hotel in Rye, UK; Jeake’s House. Every night at five p.m., out would come the sparkling wine. Cava, which comes from Spain, is extremely popular in the UK as a sparkling wine. It seemed more so than Prosecco, which is made in Italy, or other sparkling wine equivalents. Maybe that is where I acquired my taste for it. It is known for its good quality and affordability. Interestingly, I don’t tend to care for most Spanish wines aside from Cava. I usually find the flavor of the wines in this category too yeasty, or too sweet, or too earthy to be a great sip on their own. Cristalino, to my palate, is good enough to drink alone; without fruit juice or cocktail mixers. I have been served many types of sparkling wine in Mimosas (or Bucks Fizz as they are known in the UK). After all, what is Sunday Brunch or a holiday morning without a Mimosa in some form? I am always curious about the brands that restaurants serve, so that I can pick up a tip on a winner. That is exactly what happened with Cristalino. I spoke to a waiter who was pouring my bottomless Mimosas and he let me in on the secret. I was really thankful that I asked. When I went to purchase it in the store, I couldn’t believe just how inexpensive it was. It was just $5.99 when I first bought it; a downright bargain. The price has gone up a fair bit since, you can find it on sale for $7.99 but expect to pay about $9.99 per bottle. Still, it won’t break the bank. But here is the thing: it tastes really good. So good that it gets between 87 and 89 every year on Wine Spectator and wins multiple prizes in the value wine category from Wine and Spirits Magazine. 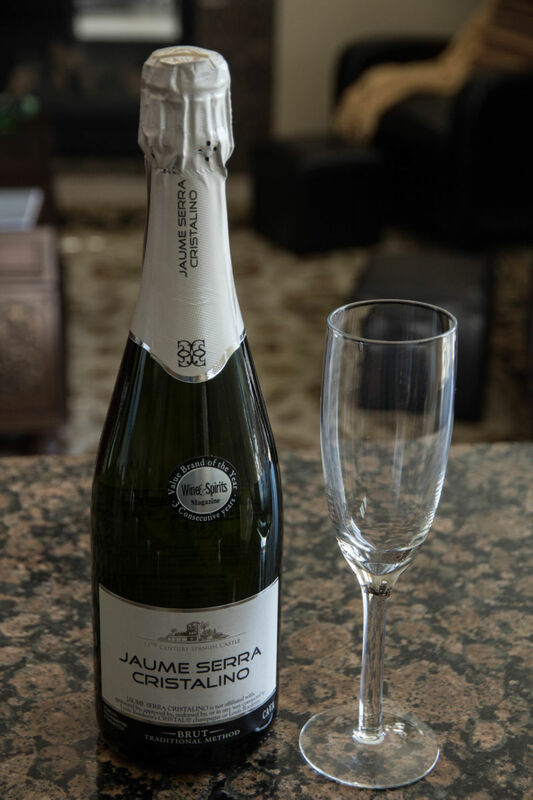 It has a fresh citrus and apple flavor; with lively bubbles on the tongue. It does have a slight mineral tone, but that doesn’t overwhelm the rest of the flavors. It also isn’t too dry. It is great with everything from a cheese plate and appetizers to Chinese and seafood. It also makes a fine Mimosa, Bellini, or Champagne Cocktail. The Brit Comments: We have worked hard to verify that our love of this Cava is based in fact; trying a range of sub ten-dollar bottles. The results of our dedicated research have confirmed that this is the best value sparkling wine you can find. Now, does it compare to a fine sparkling wine like Domaine Carneros or a traditional champagne like Veuve Clicquot? No, but it isn’t even close to the same price either. 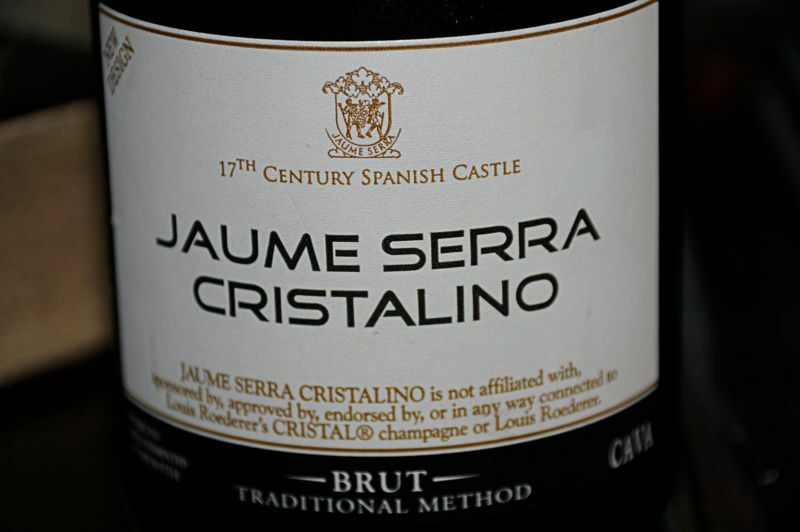 This sparkling wine is something you could be proud to serve at a large party or get together and not break the bank. The wine comes in Brut, Extra Brut and Rose Brut. I have not tasted the Rose Brut, but I highly recommend the other two .